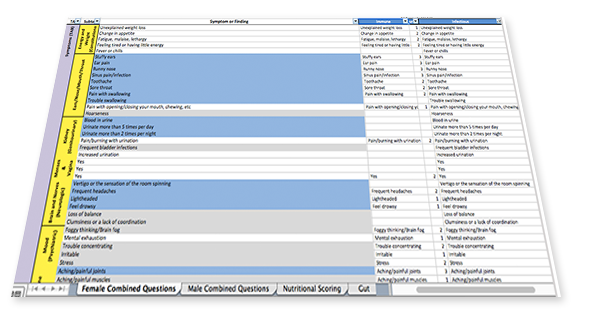 The client, a physician in the integrative medicine field, was using spreadsheets and manual processes to manage his growing medical practice and his patients' health records. Patients needed better methods for healthcare communications and real-time access to their medical information. Our team was asked to move the practice to an efficient, Web-based EMR solution. The goal was to provide patients with an easy-to-use portal where they could enter, access, and track their health and medical information and take ownership of the personal actions that lead to better health. 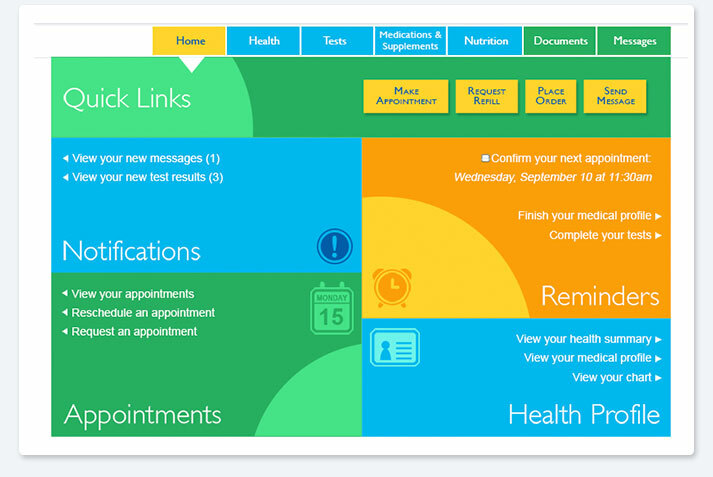 I used my extensive problem-solving and creative capabilities to develop wireframe prototypes and detailed visual designs for a large, complex patient portal that encompassed a multi-page questionnaire, an appointment scheduling and reminder engine, a secure message center, and a medication ordering system. 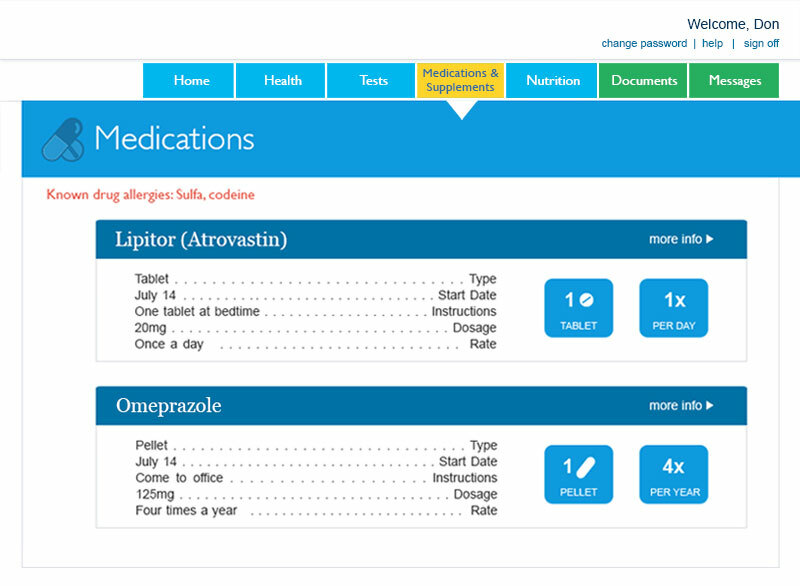 Applying fundamental design principles in the areas of UI patterns, typography, layout, hierarchy, color, and composition, I created the "look and feel" of the entire patient-facing EMR system. 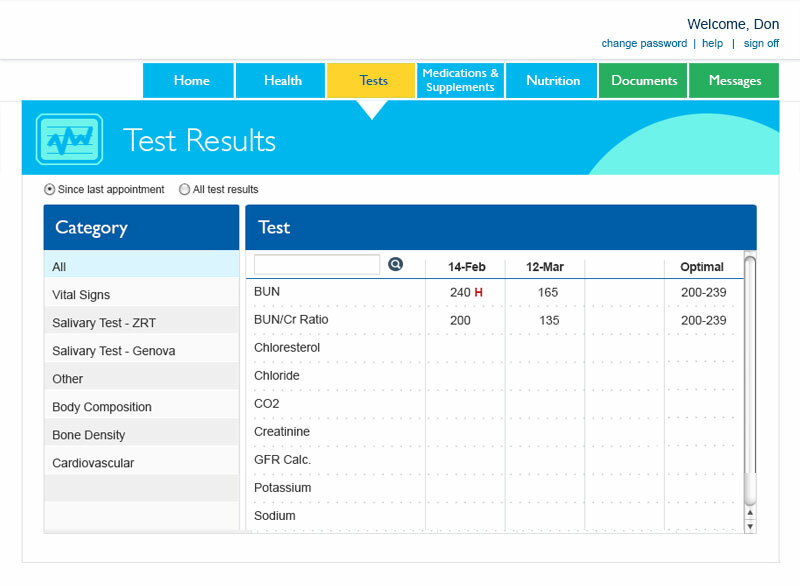 Because the patient portal was content-heavy, the interface had to be logically structured with the most important information up front, and detailed information and actions secondary. This approach enabled me to create an intuitive UI that didn't overwhelm users with information and interactions that were only occasionally needed. One of my goals was to take the design beyond simple usability to an experience that would both engage and delight users. While making sure that fundamentals such as consistency and ease of use were in place, I also concentrated on making the user interface beautiful and engaging.